A container inspection system (CIS) is a piece of that uses X-rays to scan inside a cargo container without opening it. These X-rays are generated by Bremsstrahlung which occurs when an electron beam accelerated by using a radio frequency (RF) linear accelerator (linac) hits a metal target. The RF linear accelerator is fed 2856 MHz RF power from a magnetron and accelerates the electron beam so that it attains energies up to 6 and 9 MeV. The linac is designed as standing-wave type linac, and RF power is transferred between cavity cells through side-coupling cells inside the linac. Bremsstrahlung radiation generated at the target penetrates the cargo container, and transmitted X-rays are detected by using detection modules. Detected X-ray signals are post-processed by using imaging software, and finalized images are obtained. 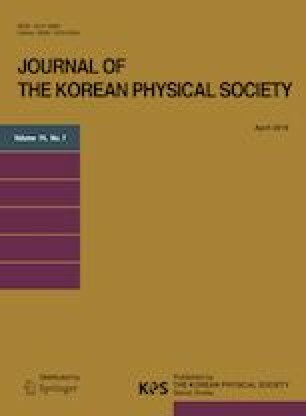 The linac cavity was designed and fabricated by the Korea Atomic Energy Research Institute (KAERI), and dual-energy X-rays were successfully generated after RF conditioning. Finally we could obtain scanning images that could be used to distinguish organic from non-organic materials. Diagnostics have been conducted to characterize the electron beam and the X-rays to verify CIS performance and improve the scanning image. In this paper, we discuss the configuration of and performance test results for the X-ray generating linac developed by the KAERI. This work has been carried out under the nuclear R&D program of the Ministry of Science and ICT of Korea (NRF No. 2017M2A2A4A050182). It is also technically supported by the Radiation Equipment Fabrication Center at the Korea Atomic Energy Research Institute (KAERI).